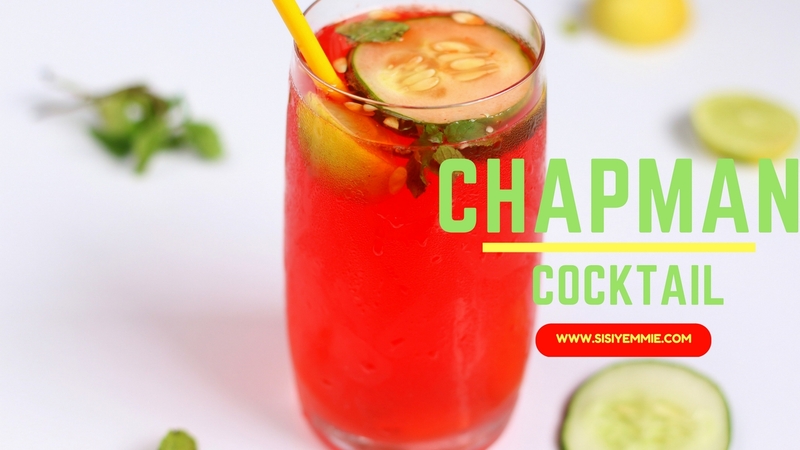 I learnt this recipe from a very reputable bar in Lagos a few years ago. Typically I would go there every time to buy Chapman because theirs was so goooood! One day I helped to organise an event there and we had an open bar-that was how I got the recipe oh. 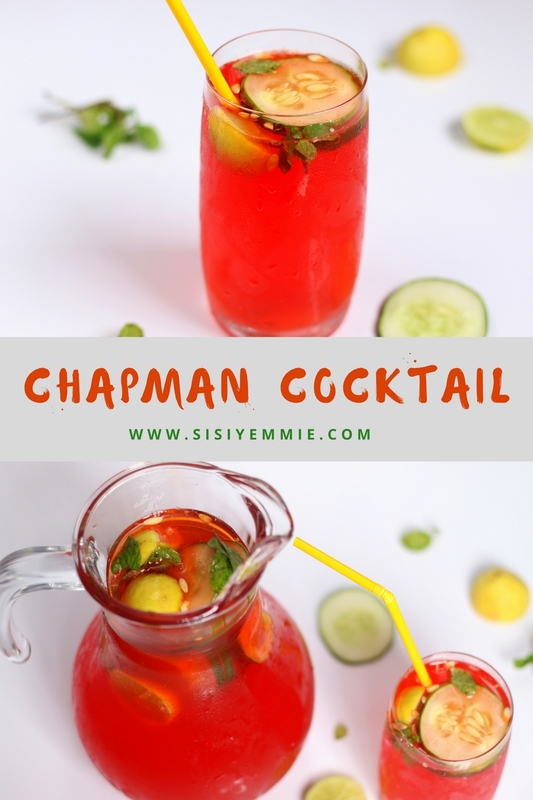 I crammed the thing in my head after watching the bartender and since then my chapman has been on fleek! Look no further if you love Chapman but you don't know how to make it. The ingredients you would need are listed below and if you want to know where to find them, especially that Angostura Bitters, send me a message and I'll tell you. I remember calling Berry of CocktailsByMzB the day I was hunting for Angostura Bitters in Lagos....like gold! Ha ha ha...finally found it! Prior, add sprite to ice tray for cubes. You can use water but I prefer sprite because when you get to the bottom of your glass, you find that the cocktail is very diluted with water from the ice. In a jug, add equal amounts of fanta and sprite. Next add grenadine syrup, angostura bitters- combine together. Chop Cucumber and lime, add to the mixture. Im my opinion, this drink is not complete without cucumber-it's to just for garnishing. Mix it in the drink. Garnish with mint leaves and serve chilled.You can find Mint leaves in shoprite as low as 100 naira. I hope you enjoy this recipe oh and don't forget to SUBSCRIBE HERE so that you are the first to get all my food posts. For those outside lagos, can we get the Angostura bitters from shoprite too? My dear Sissie Yemi, I have a suggestion for you in the near future. Since you have been posting so many recipes, I think it's only fitting for you to put them into a cookbook!! My only request when you do is to send me a signed copy!!! My email is Jackiejune@verizon.net. Thanks Sisi. To think I've always wondered how chapman is made. Sisi where can I buy the auguatus butters biko? Sisi, this Chapman is calling my name! Where will I find Ango... bitters in the America? I love the vibrant red colour. Feel like gulping it all.Your recipes are always easy to learn.Eshey pupo. Sisi yemmie, what app/site do u use to design your pictures pls? But pretty pls could you respond to comments and questions??? Good morning Sisi please where can I get Angostura bitters in Abuja. AWESOME NEWS! WE ARE IN A CHEERIOS AD!!! SISI WEEKLY #60 "IT IS MORE BLESSED TO GIVE!"